For an introduction to this series of posts, click here. Hugon begins his discussion of Thesis One by introducing the distinction between potency and act, and then dividing the notion of potency into its kinds. That which is in potency can be, whereas that which has passed from what can be to what is, is in act. The good professor of metaphysics is a philosopher in act, whereas the newborn is a philosopher in potency. Now, ‘potency’ can be understood in two ways: objective, or merely logical potency, and subjective potency. We must be careful here not to read into this distinction our modern understanding of the terms “objective” and “subjective”; in fact, the real meaning here is practically the opposite of what our modern terminology might incline us to think. Subjective potency is the potency that is in a real subject—meaning real a thing in the world, whereas “objective” potency refers to potency insofar as it is an object of the intellect, and thus, it does not refer to a real potency in a real thing, but to some mere possibility, to what can be the case, but is not. A horse that can fly is an objective potency, or merely logical possibility, whereas a bird’s capacity to fly is a real or subjective potency. Hugon then makes a further division within subjective potencies: some subjective potencies come 'out of' something, and are called active potencies, such as fire’s capacity to burn or to produce heat, whereas others are 'in something', and are called passive potency, such as water’s capacity to be heated. The first is a perfection, whereas the latter represents an imperfection. For this reason, the first is compatible with God, Who is Pure Act, whereas the latter is not. God has all active potencies (and hence we say He is omnipotent), but he has no passive potency (and hence we say he is impassible). Hugon then proceeds to explain motion (or ‘change’) as the passing from potency to act. In connection with this, he makes two important points. First, that which is being moved is in potency insofar as it is being moved. It does not yet possess the act towards which it is being moved; once it reaches that act, which is the goal, so to speak, it is no longer in motion. Yet that which moves, imparts act, and is thus in act—for nothing can give an act that it does not possess. Hence, the mover is in act, while the moved is in potency. Take, for instance, water in a pot being heated by fire. The fire is hot in act, whereas the water in the pot is hot in potency while it is being heated. The second important point is a corollary of the foregoing: the mover is necessarily distinct from the moved. Stated negatively, nothing can move itself. This obvious and seemingly superfluous point is the crux of Aquinas’ first way of proving God’s existence. Hugon then moves on to consider the notion of ‘pure act’. 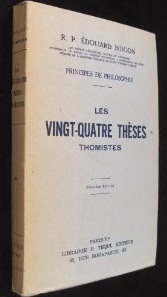 He explains, along the lines of the thesis, that there are two ways in which act can be limited, and thus fail to be pure act: it can be received by potency, as the soul is received by the body, or it can be modified or perfected by further act, as when an angel, though immaterial, receives its being, its faculties, and its operations, which are perfections, and hence the angel is in potency to them. In the case of God, however, ‘pure act’ means that such act neither receives nor is received; it is pure perfection without limit. In everything outside of God, there is always some admixture of potency and act; these two, potency and act, are the first and intrinsic principles of creatures. Hugon finally notes the relation between the Aristotelian-Thomistic doctrine of potency and act to that of the ten categories. First, potency and act represent the most general division of being (ens), omne ens et omne genus entis. That is to say, the composition of potency and act is common to all categories, both substance and the accidents, such that substantial being is divided into substantial potency and substantial act, and accidental being is divided into accidental potency and accidental act. This allows us to understand the axiom, potentia et actus sunt in eodem genere, potency and act are in the same genus: substantial act can only be received by substantial potency, and accidental act can only modify accidental potency. Im intereted in what Hugon has to say about some of the later theses, like 20, which bear upon the order in our knowledge and learning. 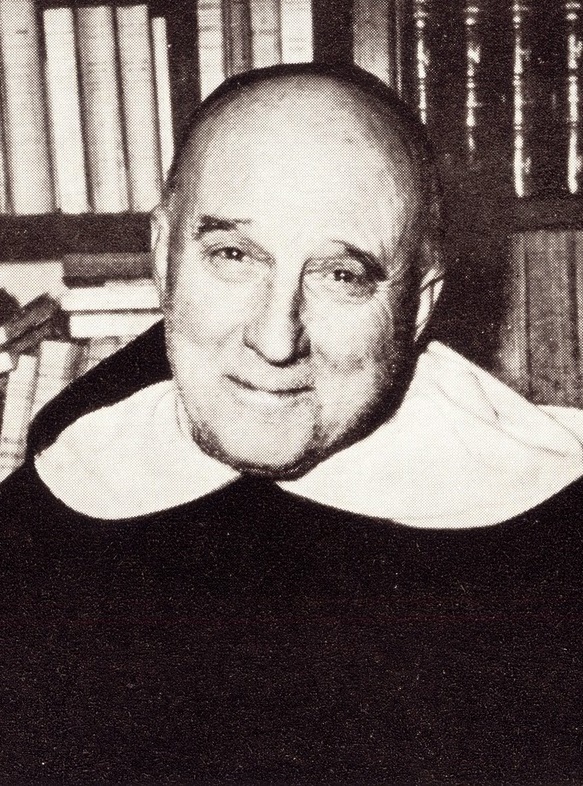 So much of current Thomistic thought seems to disregard the order in our knowledge, insisting that our thought begins with metaphysics for example.